So, without telling you that your mother, grandmother, and great grandmother are wrong, I hate the old rules of not eating within 4 hours of going to bed. Personally, I don’t think I’d be able to stop eating at 6pm-7pm, and also, if you’re eating clean and health through out the day, you’re creating a 12 hour gap between meals while you sleep. Not very metabolism friendly. Yes, yes, grandma meant that you shouldn’t eat a half gallon of ice cream, so I’ll give her credit for that, but none more. In fact, I laugh in the face of this myth and eat right before I go to bed. Take that, grandma! Now, I like the Greek Yogurt, because of it’s high protein content (16gms in 6oz.) It’s also fat free, which I’m sure that some people would be fan. 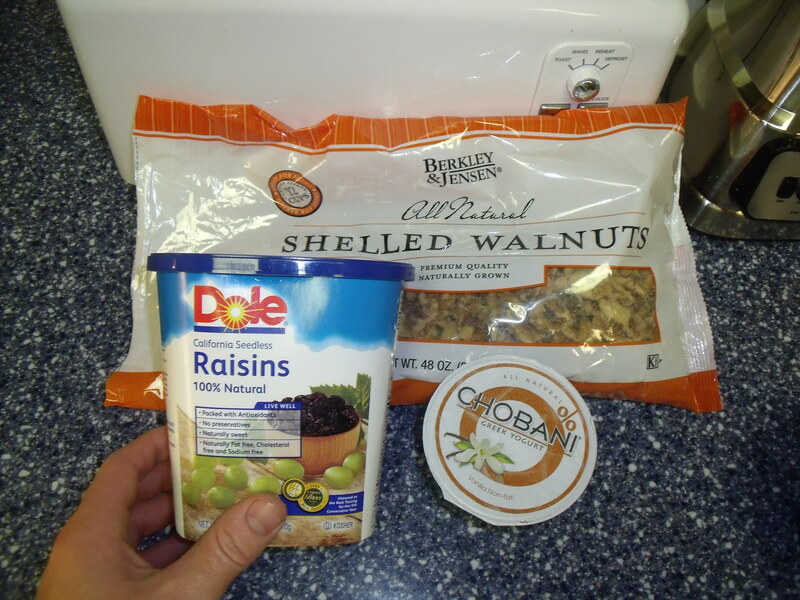 To make up for the absence of fats, the walnuts add a significant amount of omega-3 fatty acids. If you don’t know that these fats are essential to your health…then you must be living under a rock. 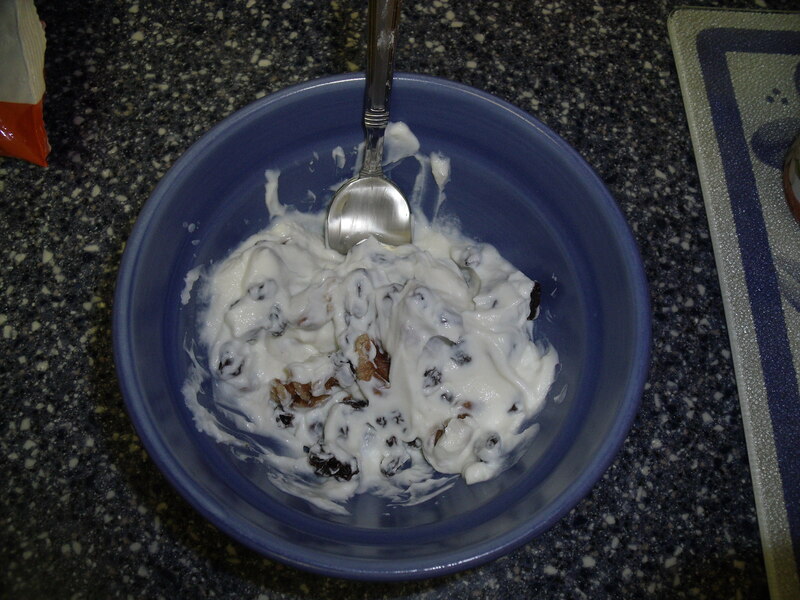 The raisins are nice because they add antioxidants and fiber. Solid! Next time you’ve got a craving before you hop in bed, try a snack like this. It’s quick and nutritious; a great combination. Breakfast burrito in the morning, YAYYYYYY!!! No, seriously. It’ll be an epic day for burritos. Previous PostPrevious What Does That Work?